Sorry, I’m running late! I just got home from a 12-hour workday and I’m way behind. You know, one of those days where everything seems to go wrong. That’s all right though, it’s all good and tomorrow will be a better day! But because I’m late, I’m not going to rattle on about anything else, I’m just going to jump right in with my featured blogs from last weeks great party. 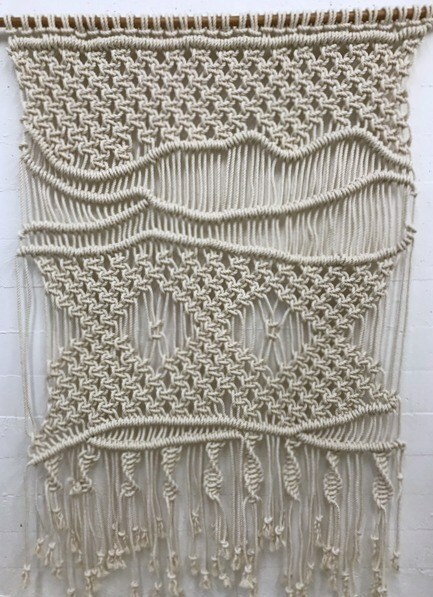 First I’m featuring Wendy at My French Twist and her Macrame Wall Hanging. How many of you macrame? I have been doing some macrame projects again and I love it. It’s one of my favorite DIY’s. I did it way back in the 70’s when it was popular the first time around. How many of you are old enough to remember that? 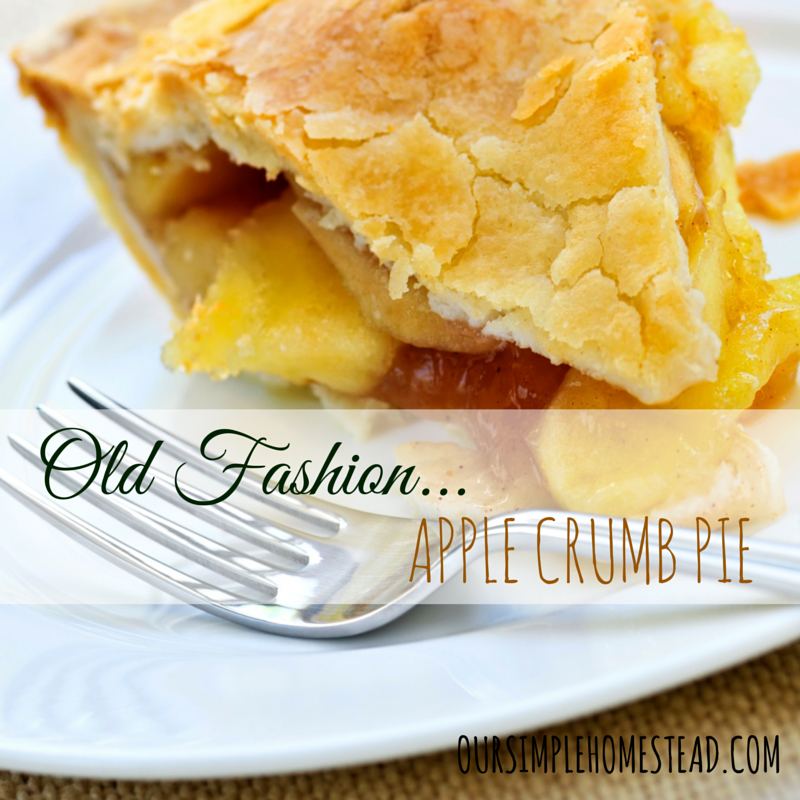 My second feature is from Tracy at Our Simple Homestead and her Apple Pie with Crumble Topping. Tracy tells us that the recipe is from a Mennonite Community Cookbook and that it has the best crumble topping ever! It would be great if you could stop by their blogs and check out their projects. 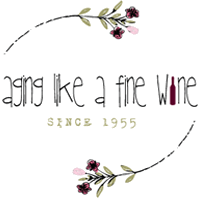 Congratulations to my featured blogs, My French Twist and Our Simple Homestead! Remember to copy and paste this featured button to your website. 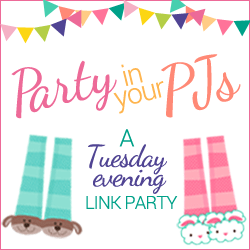 Thank you so much to everyone that links up to Party in Your PJs. I love reading what you post and share each week. Each one of you is fantastic! I must admit that I did macrame in the 70’s as well. I a not sure what is worse, having done it in the 70’s or the fact that I still have some pieces that I did. lol!! They say that sooner or later it will come back around again. I am ready. That’s funny! You are ready! In the 70’s I mostly did the macrame plant hangars because houseplants were sooo popular too, now I’m trying to branch out a little. Thanks Teresa for co-hosting the 175 th Party in Your PJ’s, always appreciated. Thank you so much Joy for your comment and for linking up! Thank you Debbie and thank you very much for linking up with us. I did macrame in the 70s! Mostly plant hangers because I had lots of house plants. One time, I bought a macrame purse. It was my favorite! Funny how things go in cycles, huh? It is funny! I’m glad macrame came back around because it’s so much fun to work with. I hope you’re loving retirement!